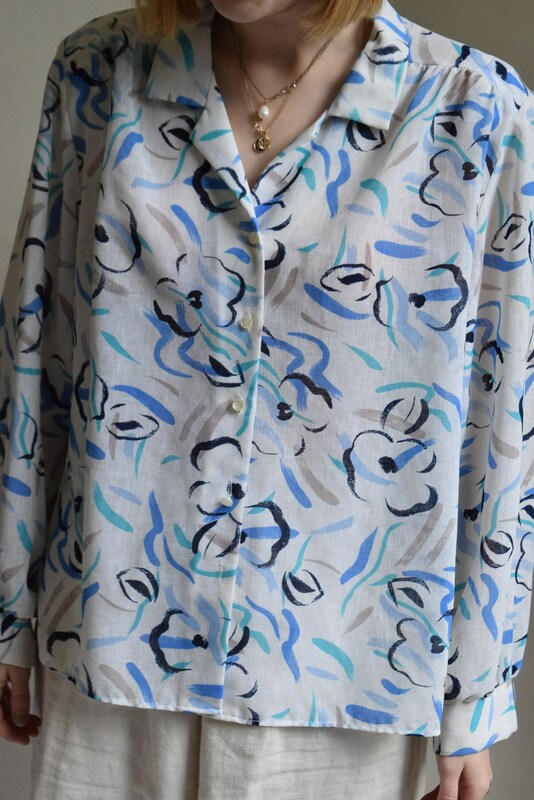 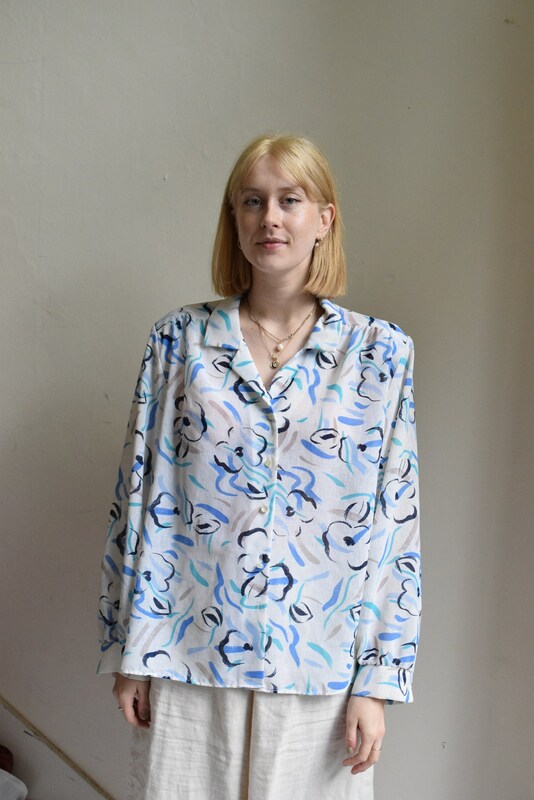 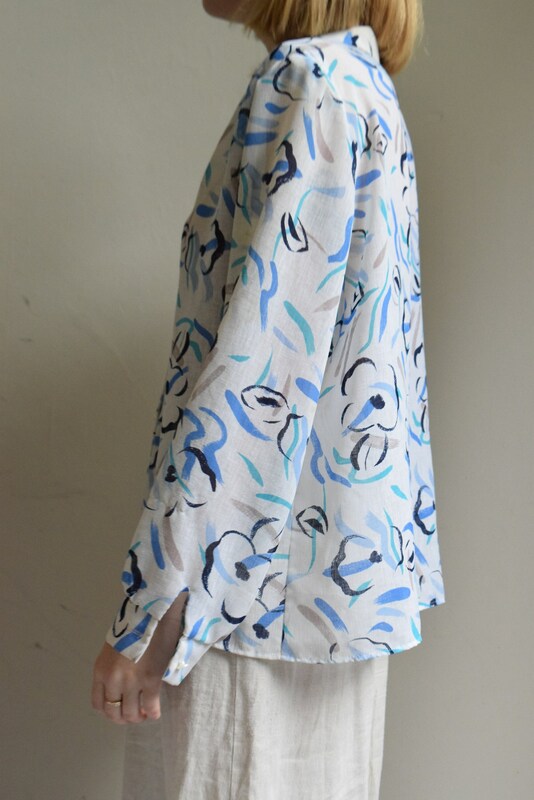 Semi-sheer white button up long sleeve blouse with paint-stroke style abstract floral design in blues, greens, and taupe. 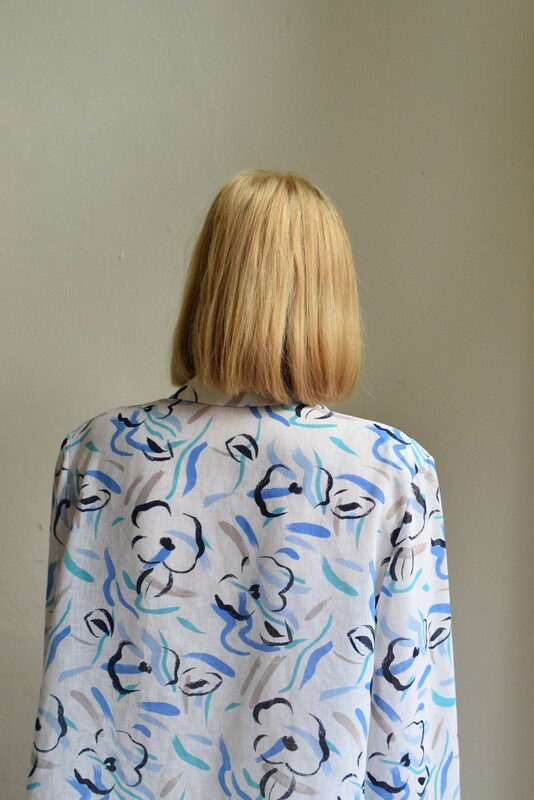 Garment has small shoulder pads and a relaxed fit. 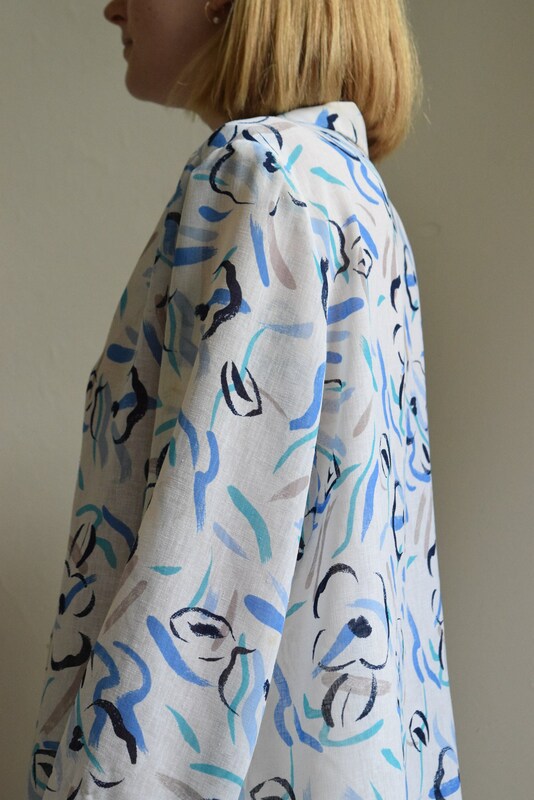 Fabric is lightweight.